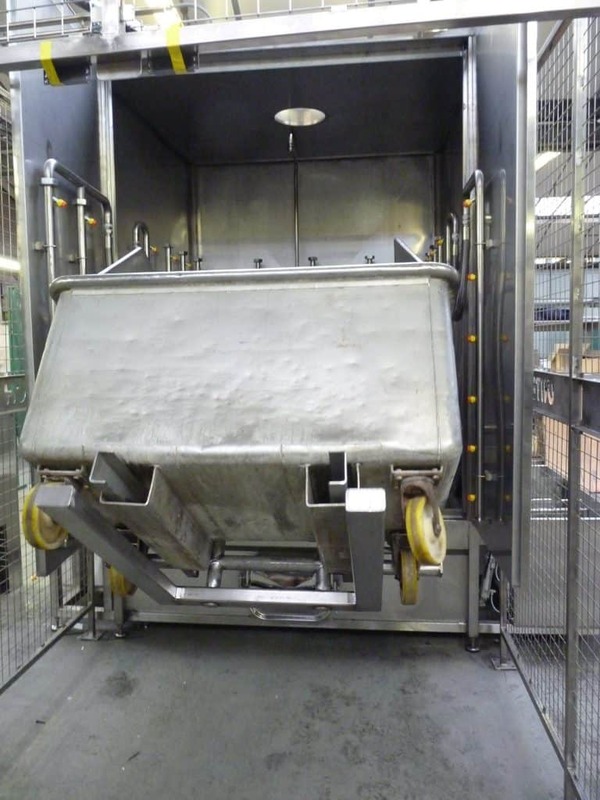 Dolav or Pallet Box washers allow the efficient cleaning of Bulk storage containers with either a stand-alone cabinet unit or an automated in-line system. 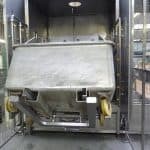 As with all our wash equipment, the machines in this range incorporate our latest hygienic design principles, thus minimising energy usage and cleaning times. 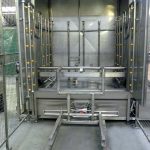 Cabinet units can be supplied with single or double bays to accommodate various throughput rates, and can be available with removable frames in order to allow a large range of containers to be washed in a single machine. 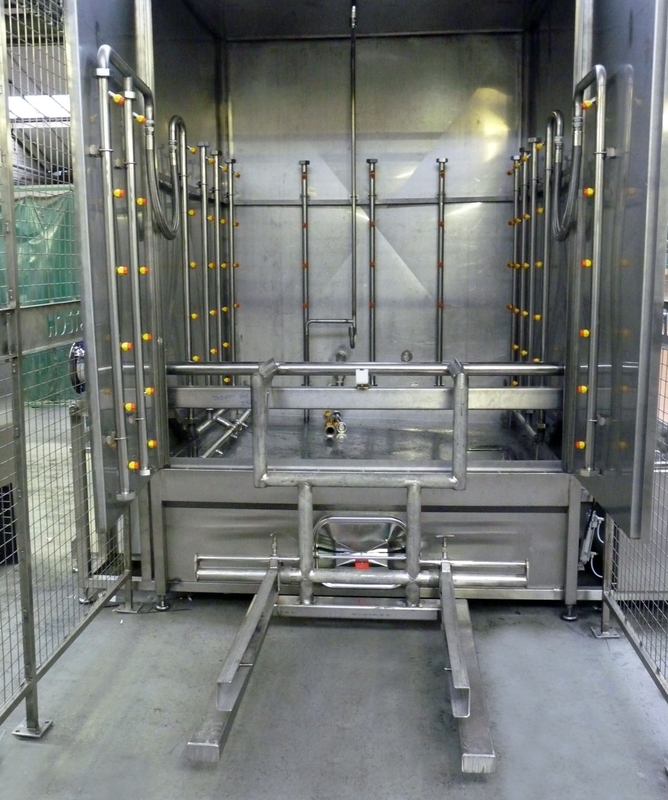 Multiple programmable wash cycles are included which gives flexibility for a wide range of soiling, allowing the client to tailor the machine to their specific requirements. 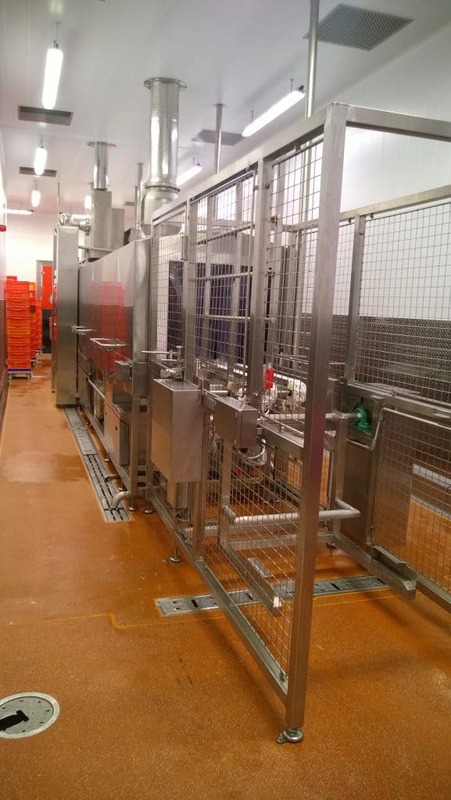 Inline systems have an indexing mechanism allowing the Dolavs to pause at a jetting station, where high impact jets enter the unit, ensuring that all surfaces are efficiently washed. 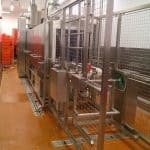 These units can also be supplied to accommodate other items such as Pallets, within the same production line. With most of the water being re-circulated, significant savings in utility usages can be made, against normal hand-held jet wash systems, giving short payback periods.